The first thing to be aware of the limitations of the procedure known as Follicular Unit Extraction (FUE). The procedure is more about the re-distribution of hair taken from the back of your scalp. Regardless what Clinic you attend or what the Surgeons experience, they cannot perform a miracle surgery and create new hair follicles from nowhere. All the extracted hairs come from the back of your scalp, known as the Donor Area and this are is where the a patients hair is thickest, which in turn achieves the best and most natural results. These follicles are placed carefully into the recipient areas of the scalp, the areas that require additional coverage & density. But how much hair can be harvested from the Donor area at the back of your scalp? The simple answer to this question is that a single follicular unit, or graft, contains 1-5 hairs and on average there are 70-100 units, or 100-200 hairs, per square centimeter & therefor around a third of all follicles in the donor area may be extracted. This number means that the Donor Region still has sufficient density not to appear thin post extraction. With an FUE procedure there could be on average a maximum of 5,000 units available which seems like a lot but if there is extensive baldness over a large area then it is unrealistic to expect 100% coverage from a hair transplant. If a patient is expecting the hair they once had pre hair loss then it is important to fully understand this outcome of Surgery and gain more realistic expectations. The reason why we use the hair from the back of your scalp and often some from the sides of the head is simple. 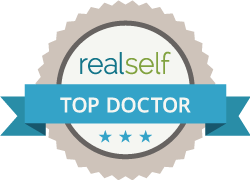 It is because this area is resistant to the hormone Dihydro-testosterone, or DHT, which is the hormone responsible for male pattern baldness. This is why it is extremely rare for men to lose hair from these areas of the head and why donor hair is extracted from this area specifically and re-implanted into the recipient area or areas of thinning. When considering Hair Transplant Surgery and exploring your options patients are often ‘oversold’ and ‘Over Quoted’ when it comes to usable Grafts and numbers that a Surgeon could achieve. Often these large numbers wont be medically possible or would cause ‘Over Harvesting’ which will cause damage to this part of the hair in so far as the area would appear very thin and possibly be unable to hide the small dot like scars caused from FUE Surgery. A more realistic graft number for FUE Surgery is between 500-2,500 Grafts. In order to achieve more you well may need multiple sessions of FUE Hair Transplant Surgery. 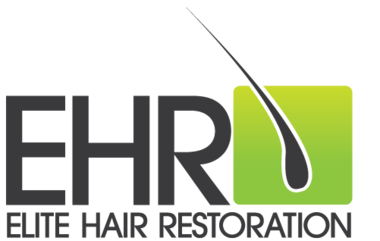 In the hands of our Elite Hair Restoration surgeons, we will carefully plan how the grafts are to be extracted so as to avoid creating bald spots in the donor area and will take into account future hair loss possibilities. Rest assured the results will be a aesthetically pleasing and create the best possible results for each and every patient.